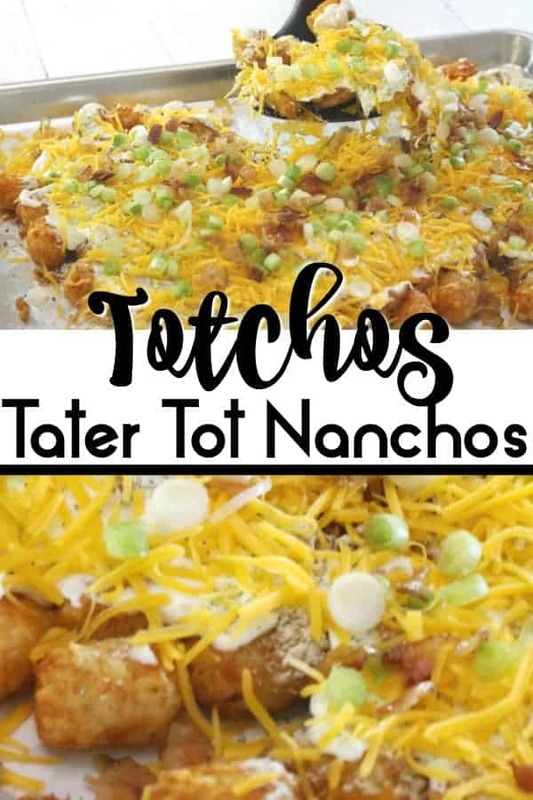 Totchos, also known as Tater Tot Nachos, takes the deliciousness of Nachos, but rather than chips, uses Tater Tots! 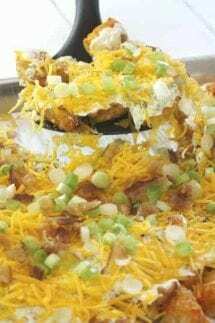 Then add gooey cheese, bacon, sour cream and whatever other great toppings you can dream up! We love appetizers that are easy to throw together for a crowd like our Beef Taco Ring and our Spinach Artichoke Dip. Who needs nachos, when you can have Loaded Totchos! 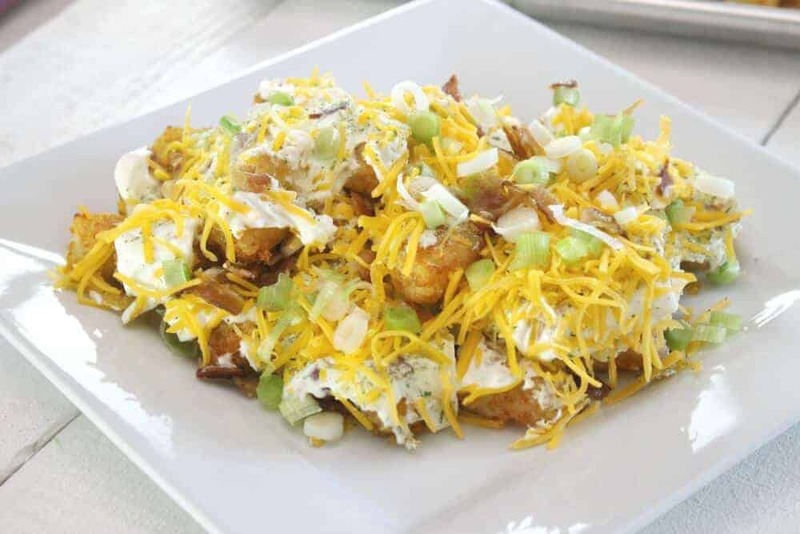 Loaded Totchos are my new favorite appetizer! 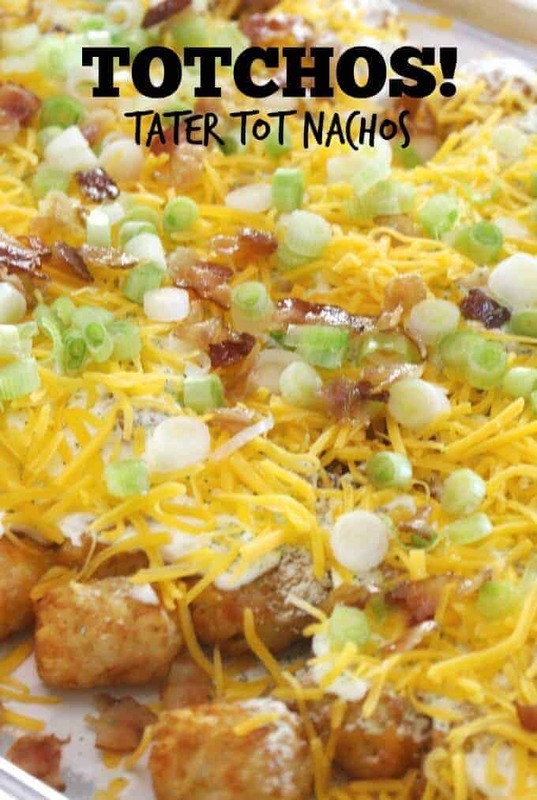 Tater Tot Nachos take the “loaded potato” or deconstructed baked potato to the next level! This is the absolute BEST Totcho recipe (and it only uses ONE PAN!)! Side note, if you are looking for some other amazing (and easy to make) appetizers, be sure to check out our Fresh Herb Baked Brie and our Baked Salami – these are total crowd pleasers! 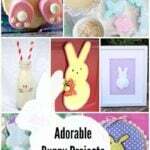 SCROLL DOWN FOR THE PRINTABLE RECIPE AND HOW TO VIDEO! Last week I was in Orlando and met up with some of my friends for dinner. We went to the newest restaurant at Universal Orlando City Walk, The Toothsome Chocolate Emporium and Savory Feast Kitchen! This place was off the hook! Every dish and drink that came out was more impressive than the last. Not only was the food incredible, but the presentation was to die for – it was truly a food bloggers dream! But more importantly, I discovered Totchos! 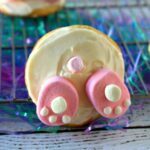 As soon as I saw them on the menu, I knew that this not only needed to be ordered STAT, but I needed to recreate them! Hence the birth of my BEST EVER TOTCHO recipe! But, let me get back to the reason we are all here – the TOTCHOS! I have heard of totchos before, but I have never had them. Well, this may have been a good thing, because now I am totally and completely obsessed!!! I am going to give you my version of the totchos, but similar to nachos, this is a very personal thing. 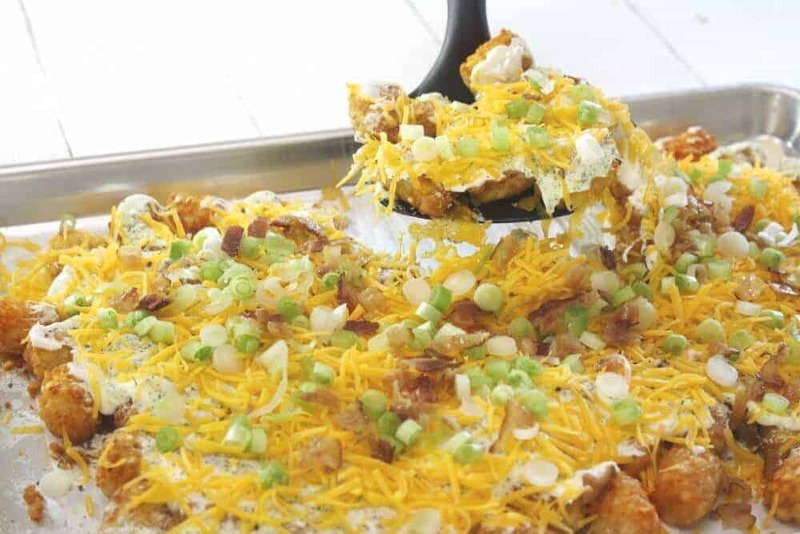 There are no rules when it comes to tater tot nachos, except, you need to have the tater tots. 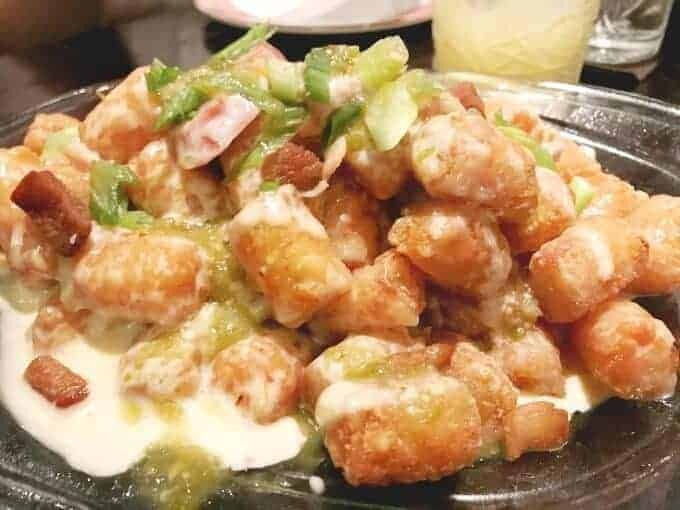 without the tater tots, you basically just have a pile of toppings, which isn’t so bad, except we are making Totchos – so you must has tater tots! After that, add whatever you want. You can add ground beef or chicken, tomatoes, avocado – you choose! Looking for more easy appetizer ideas! We have tons of them! See all of our great appetizer recipes here! 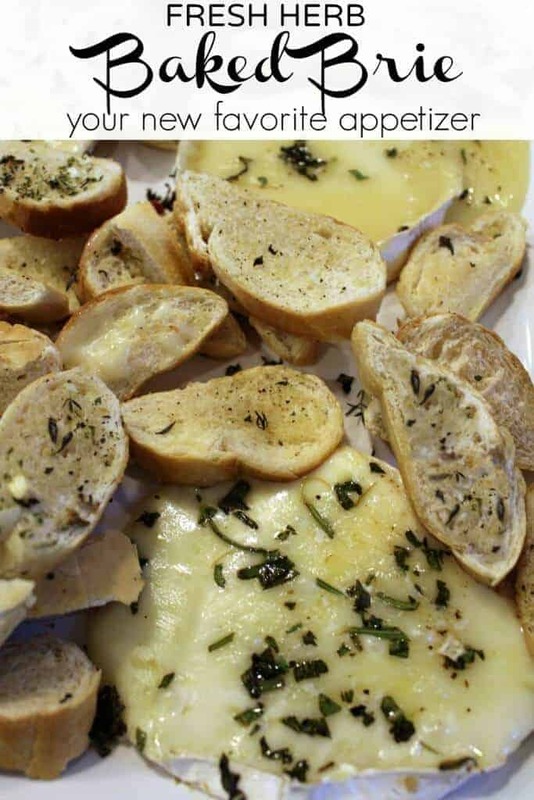 This Fresh Herb Baked Brie is always THE requested appetizer! 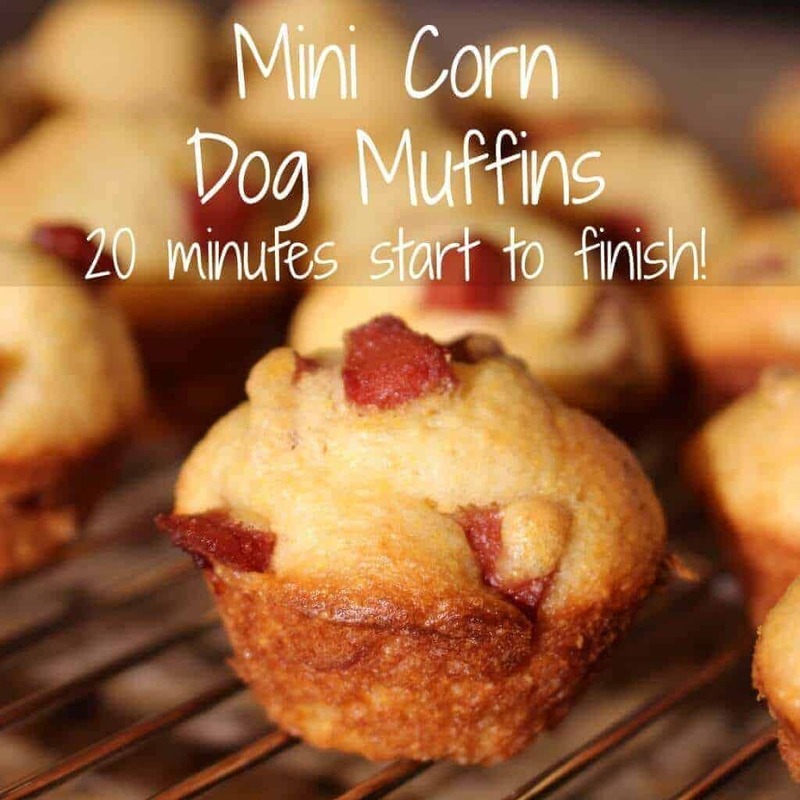 Need a super quick and easy appetizer, these Mini Corn Dog Muffins are just that and always please a crowd! Ranch Dressing in the packet for making the dressing Try Hidden Valley Ranch dressing mix. Psst…you might want to double check the nutrition facts ;). Each tater tot has about 2 carbs in each one…. so I don’t think that is accurate. Plus there is no serving size listed, etc… things we tend to zoom in on when we have a kiddo with Type 1 Diabetes :p My son is also celiac, so this is a good dish because it has no gluten unless it’s in the ranch, we might have to use something else but the dish looks wonderful and I’m going to give it a try! Shoot – must be a glitch! Checking right now! !